Pretty sure that in this day and age, everybody is no stranger to the golden goodness that is, honey. But I’ll bet you didn’t know that nature’s liquid gold holds more health and beauty secrets than Gretchen Weiners’ gigantic weave ever could. Bees are the only insects on this green earth to produce food that are edible to human beans like you and me. Honey is also a food that, on its own, contains all of the substances necessary to sustain life. I’m talking enzymes, minerals, water and vitamins. So if you were to ever be stranded on a desert island where honey was the only food available… good news, honey. You gon’ make it. Eating honey apparently has the ability to potentially increase a person’s IQ. Yes, you read that right! Honey is known to be the only food to contain a type of antioxidant known as pinocembrin that significantly improves brain function. Best get to hittin’ them honey jars! Who knows, next stop? Hello, Harvard! 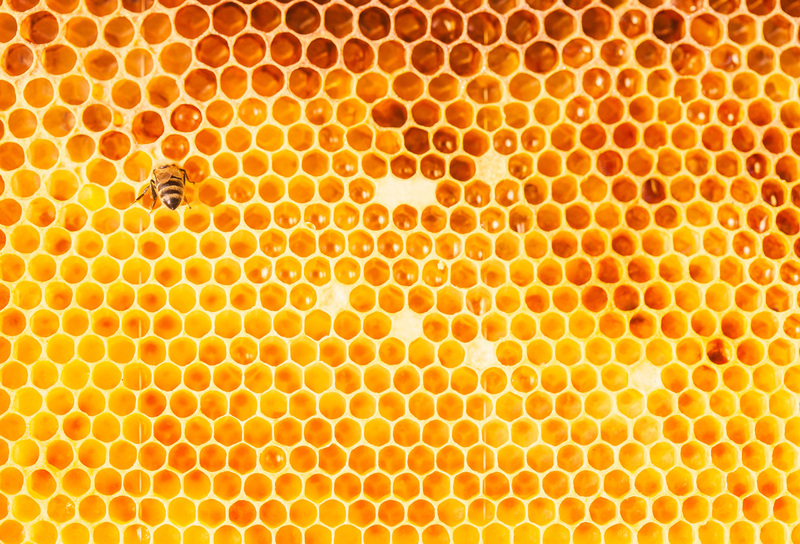 Believe it or not, honey is the only food that will never, ever go bad. Seeing as how honey contains natural preservatives, it will never actually expire. A giant hip-hip-hooray and a whoop-dee-doo for no funk in the trunk— or anywhere else for that matter! Heck yeah! When all the world is raging about all natural, sustainable living, et cetera, et cetera; I like to say: when it doubt, go GOLD. Honey is, after all, nature’s natural all-purpose balm. Do you have a burn that you need to soothe? Honey is the answer. Do you have a sore you need treating? Honey is the answer. Do you have a wound you’d like to heal? Well. Some may say that time is what you need but oh, no, no, dearies. Honey, I say. Is the answer. Was there ever a more versatile thing than this? Honey can be used as almost anything! Really. Stretch your imagination and the limit does not exist. Honey body lotion? Why not. Honey by Mariah Carey? Evergreen. where there is honey, there is love.